With full support from Tun Mahathir and wife, Tun Siti Hasmah, my super team and I really working hard to organize this event, the only thing left is youur support which may benefit future generations. 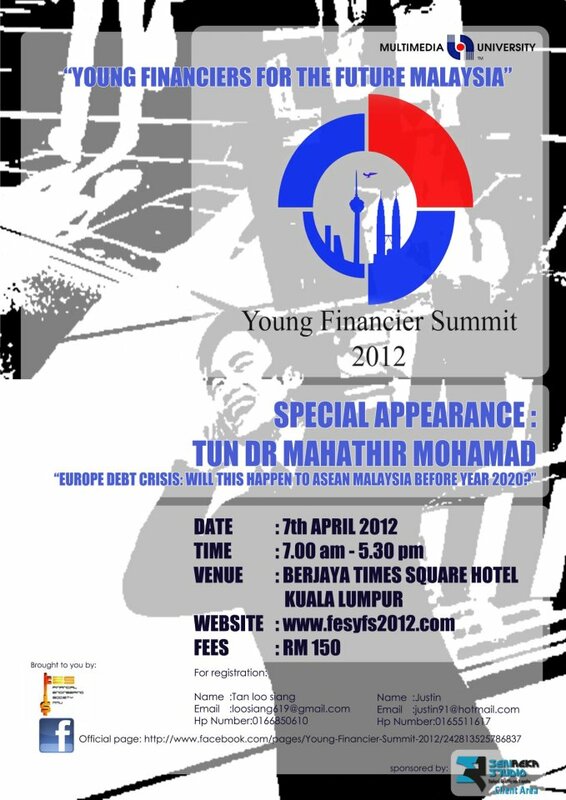 Come and be part of FES Young Financier Summit 2012. Young Financier Summit 2012 is initiated by Financial Engineering Society, from Multimedia University in line with its commitment to the development and advancement of the finance profession. This summit will prepare the young financiers to face challenges ahead as Malaysia is going to achieve a self-sufficient industrialized nation by the year 2020. 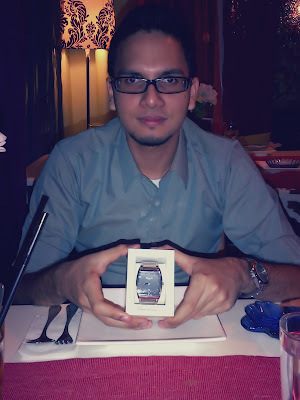 This event will be happen in Berjaya Times Square Hotel on 7 April 2012. Students from all over universities are encouraged to join the talk.